Chidinma Inspirations: If This Little Boy Without Arms Didn't Give Up, Please Why Should You? If This Little Boy Without Arms Didn't Give Up, Please Why Should You? A picture they say do speak a thousand words. 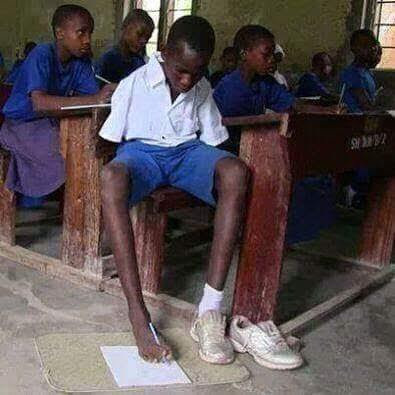 Despite everything, despite his situation, despite his condition, despite his circumstance, he chose not to give up. He chose to fight! If he didn't give up, please why should you? ''The more excuses sets in, the more we ought to do those things excuses are preventing us from doing'' Chidinma Inspirations. not what you don't have that limits you, it is what you have but don't know how to use''. It will be alright dear. I am beyond happy this inspired you. Don't worry, it will end in praise dear.